THE ERA OF CARBON FIBRE IS WELL AND TRULY UPON US, WITH MORE AND MORE EVERYDAY APPLICATIONS BENEFITTING FROM THE LIGHTWEIGHT MATERIAL. EVOLUTION TANKERS HAS NOW DEVELOPED THE WORLD’S FIRST CARBON COMPOSITE TANKERS, CAUSING A STIR IN THE DEMANDING DANGEROUS GOODS TRANSPORT MARKET. Bringing new technology to market is risky business. History has proven that for a new product to be successful, it has to meet a genuine need, at the right time and at the right price to truly leave an impact. Evolution Tankers’ new ‘Omni Tanker’ may have just hit the mark. Based on a new composite manufacturing process developed by this young Australian business , it has made an impact ever since the first tankers hit the road in 2007. Now a fully matured and patented product, it is bringing a new value proposition to the market that could see transport businesses around the globe become more efficient, productive and, most importantly, safe – critical in a time where bulk liquid transportation is under constant public scrutiny. The barrel of every Omni model is manufactured using carbon fibre composite materials with a fully seamless interior of polyethylene thermoplastic. The result is a lightweight tank with a high degree of chemical resistance that is suitable for a wide range of liquid cargoes, as it is both food grade compatible and Dangerous Goods approved. What’s more, the seamless thermoplastic interior prevents product hang-up and reduces absorption to a minimum. The result is a versatile tank that will allow transport businesses in the chemicals industry to switch safely between different products after each wash out. 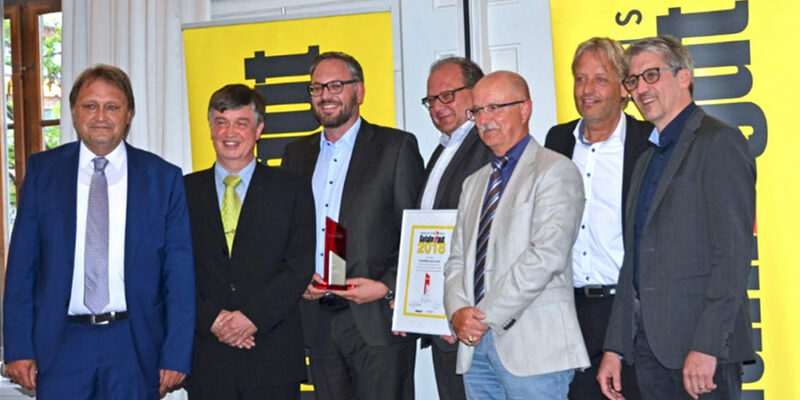 Renowned national company Chemtrans, which is now part of the K&S Group of companies, is one of the forward-looking adopters of the new technology and has been using it in both rigid and B-double set-ups since June 2014. 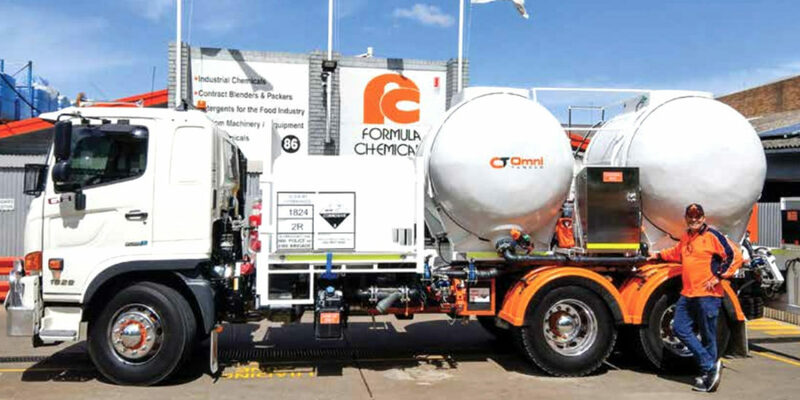 According to Daniel, the Omni Tanker concept is “perfectly suited” to Chemtrans’ line of work, as the company specialises in carting dangerous goods such as class 8 corrosive liquids. 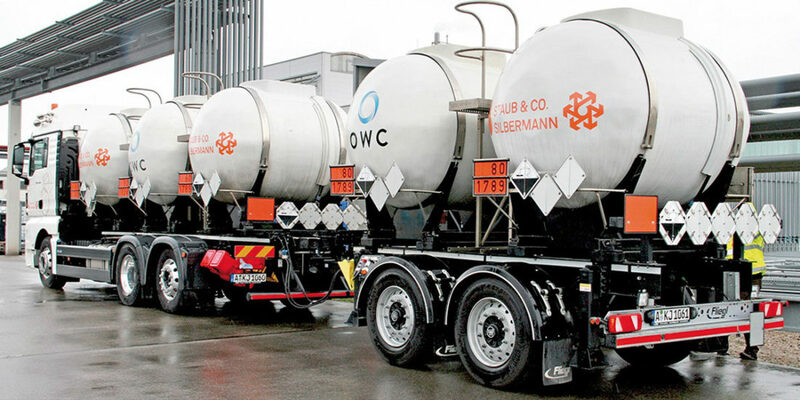 “As a transport business, Chemtrans is making full use of the Omni Tanker’s versatility as they handle a wide range of corrosive chemicals including acids, caustics and sodium hypochlorite,” he says – pointing out the tanker’s abilities and light weight played a crucial role in Chemtrans decision to commit to the equipment. According to Daniel, only half a year since the first trial, Chemtrans is now operating a fleet of four B-double tankers, two semi-trailers and two 8×4 rigids – all based on Omni Tanker’s ‘low weight, high durability’ philosophy. A number of additional vehicles are already in the pipeline. “Our design made sense to the Chemtrans business, offering the right technology at the right price and the right time,” says Daniel – explaining that all Omni tanks come in an ‘iso-tensoid’ shape to achieve more uniform stresses across the structure as well as a lowcentre of gravity for improved safety and stability. In 2015 Evolution Tankers will move to a new expanded facility in the industrial precinct of Smeaton Grange in the south west of Sydney. The new facility is a state of the art manufacturing site with over 5,000m2 of production space, multiple overhead gantry cranes, and a dedicated research facility to support ongoing development. Evolution Tanker’s Operations Manager, Robert Stubbs says the company has also designed and built a full chemical handling fit-out for each vehicle to Chemtrans’ specification – including a batch metering pump system with NATA certification. 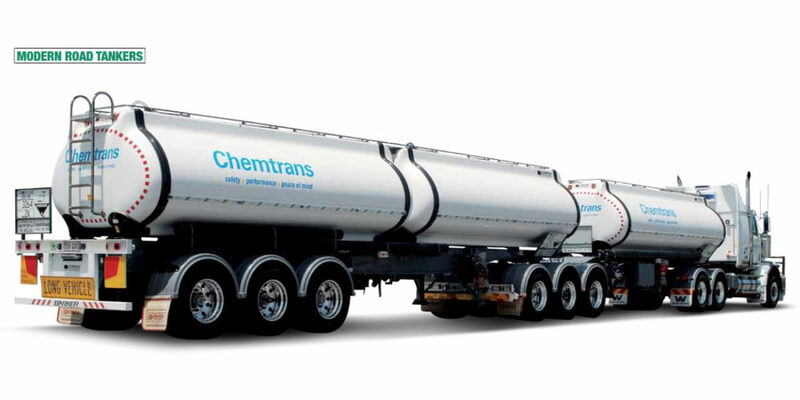 As Chemtrans’ example has proven, Evolution Tanker’s philosophy to combine customisability with the inherent versatility of a high-tech material is the “right stuff” to set up modern transport businesses for the future – a concept that can be applied to bulk liquid transport markets around the globe. Unsurprisingly, the company’s expansion to Europe is already underway. With the European market slowly recovering from the Eurozone crisis, the timing looks to be just right for Evolution Tankers to commence the brand’s international expansion – even though a not-so-timely blow of fate shocked the team last month, when Founder and Chief Engineer Bill Rodgers passed away unexpectedly. Known as a brilliant engineer in the field of composites technology and a true gentleman, Bill has left his mark with a number of landmark innovations in composite processes. His enthusiasm for engineering and development was infectious and he took great pleasure from seeing the increasing fleet of Omni Tankers on the road. Bill’s son, Daniel is now continuing to lead the company; and with a strong management group and a great technical and production team behind him, everyone is looking forward to a bright future and making Bill proud.